Happy Friday friends! It’s a short work week for me as we are headed to the lake with friends for our annual (no kids) weekend! Be sure to follow along on IG stories! Before I go though, I wanted to share my latest must have with you! A polka dot bandana scarf! Chances are you have one of these around the house just waiting to be worked into your wardrobe. 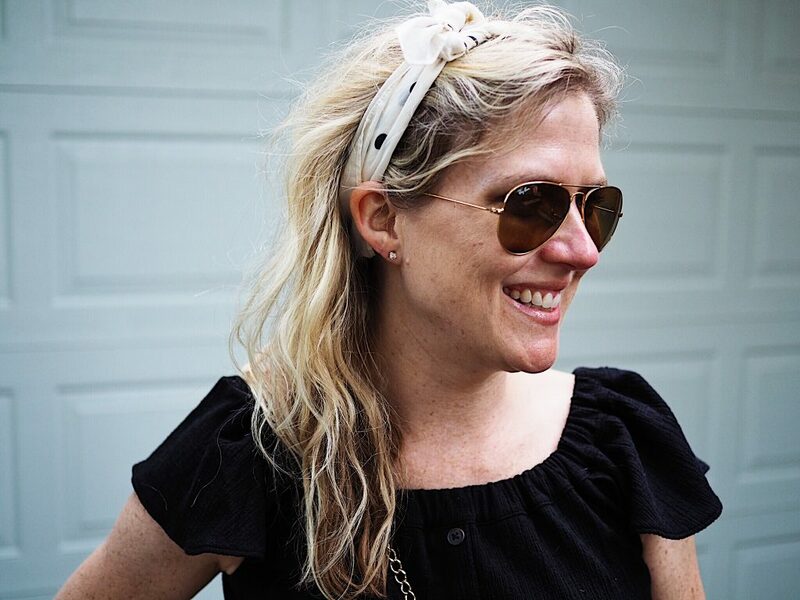 I’m sharing four easy ways to incorporate a bandana scarf into your next outfit! 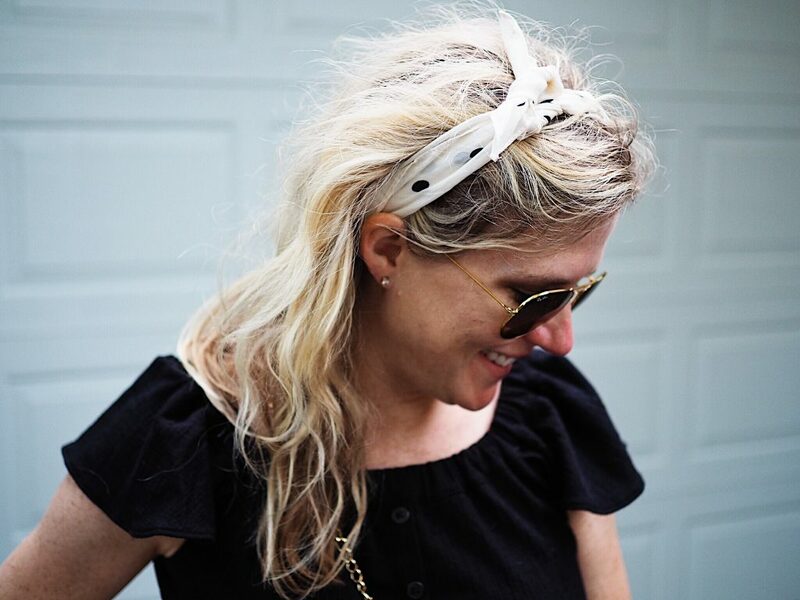 By far the easiest way to “wear” a polka dot bandana scarf is to tie one to your purse! 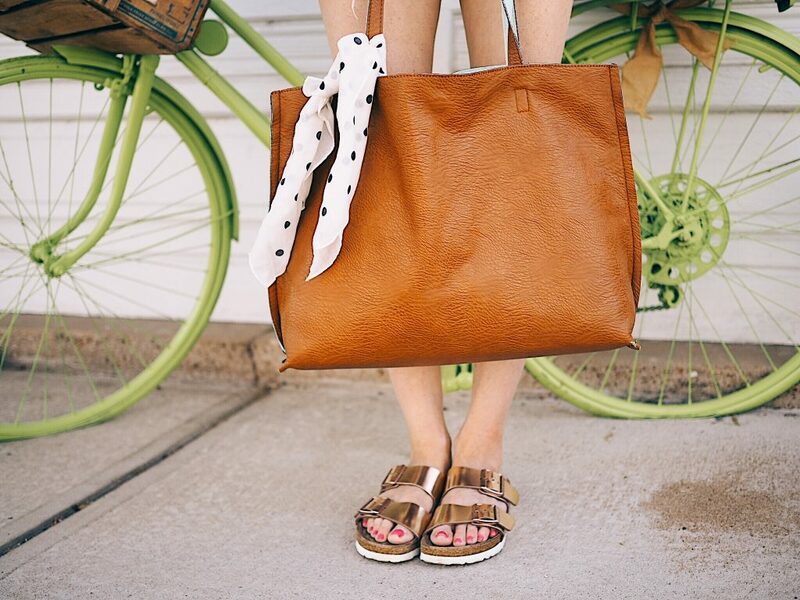 It gives a bag a whole new look and it’s one that you don’t have to worry about whether or not you tied it right. There really is no way to mess this up, trust me! There are many ways to accomplish the scarf around the neck look. In this case I went for more of the western tie as I would call it. I folded the polka dot bandana scarf from one corner to the other to make a triangle and then loosely tied it in the back. It’s the perfect accessory for dressing up an otherwise simple outfit. You kind of have to play with the knot a bit so it’s not sticking straight up. Shop some of these cute bandana scarves below! Loving this polka dot bandana scarf? Be sure to check out my post on 3 ways to wear cropped flares! Love all your great bandana ideas! Such a cute post!! Thanks Jenifer! Such a great way to add a little something to an outfit! These are such great ideas! I love the one where you add it to your hair, that is so cute and I have done it before! Thx! Helps when you’re having a bad hair day haha! You can never go wrong with a cute silky scarf. 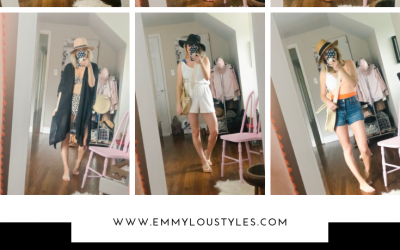 Love all the stylish way you added yours for some fun Summer looks! Great style. Many fun everyday chic mom looks! Meanwhile, welcome by and linkup with me (I have a new monthly Tuesday linkup, below) and as usual stop by tomorrow for my weekly Thursday Moda! Thanks.